This is going to be brief and I have two more days of multiple movies coming up. Yesterday was even longer because I saw THE LEGEND OF TARZAN (loved it) before the New York Asian quartet. I'm going to be posting more pictures and longer reviews but for now here is a taste of what happened today. I had no intention of ever seeing YELLOW FLOWERS ON GREEN GRASS because it sounded like it as going to be a downer of epic proportions. Plans changed and I ended up going despite no desire to see it. While there is a tinge of tragedy, it isn't as bleak as I thought and ended up getting teary eyed at the end. The plot tells the story of two brothers in rural Vietnam in 1989. As the pair goes through their lives a possible love triangle forms when a girl named moon stays with them. Moving from comedy to tragedy to magical realism and back again this is just a nice little film. I want to see it again when I can really see it for what it is and not be fearful of some terrible event. Pretty much everyone won an award before FOURTH PLACE. 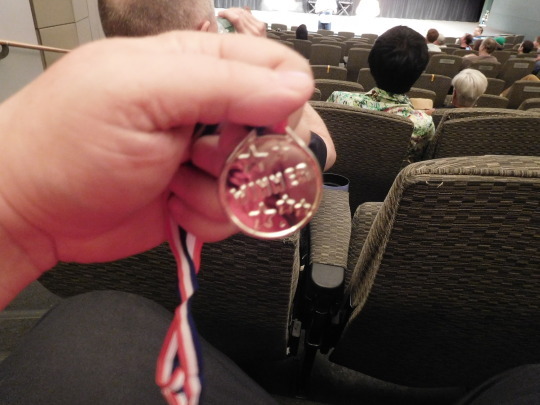 They gave out medals, trophies and ribbons to almost 30 people. I got a Winners medal and Alec got a trophy. Other people got other awards including one for potty training. 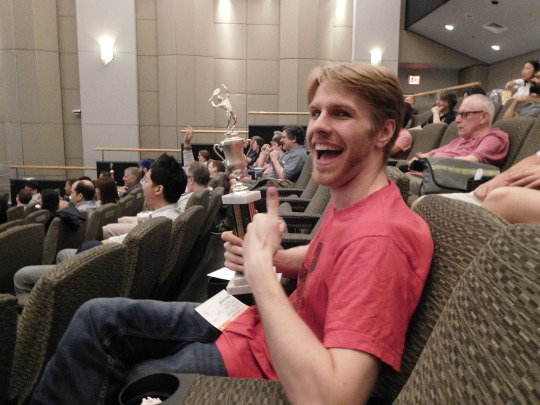 The point of the awards was that the film looks at our obsession with winning and awards and the guys wanted everyone to be a winner. 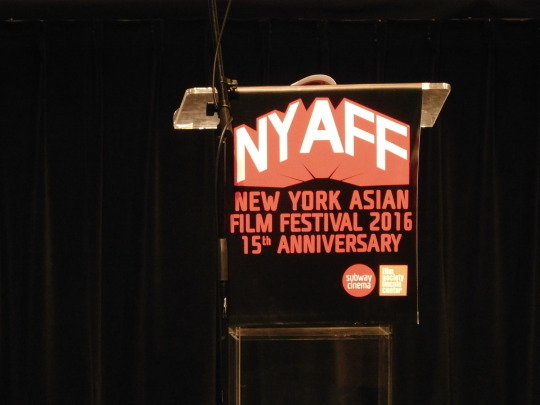 FOURTH PLACE is one of the top three films at NYAFF this year. The story of a young swimmer who is turned over to a couch who beats him - and gets results- is as good as filmmaking and story telling gets. The final swimming montage is brilliantly edited. Its a film that makes you think and feel and want to see it again and share it with your friends. I can't say enough good about the film which just does everything right-perhaps one of the best of 2016 might do. Jelly Lin was awarded the Screen International Rising Star Award She beat out 120,000 other actresses to win the lead in Stephen Chow's MERMAID her first film. MERMAID, which is getting a rerelease Friday at the Metrograph in Manhattan in 3D, is messy movie. I don't care if it's the top grossing film in China of all time, its a frequently unfunny film with bad special effects. It takes Chow's tendency for cruelty and graphic violence up a few notches as the mermen and women are graphically shot and hacked to death in the final sequence which mixes in slapstick humor. Isn't genocide fun boys and girls? I'm not going to lie and say the film isn't funny, it is at times but the blood letting in the last 15 minutes is stomach turning for no real reason and under cuts the humor and any passion for the film one might have. After the film Jelly Lin came out for a brief Q&A. 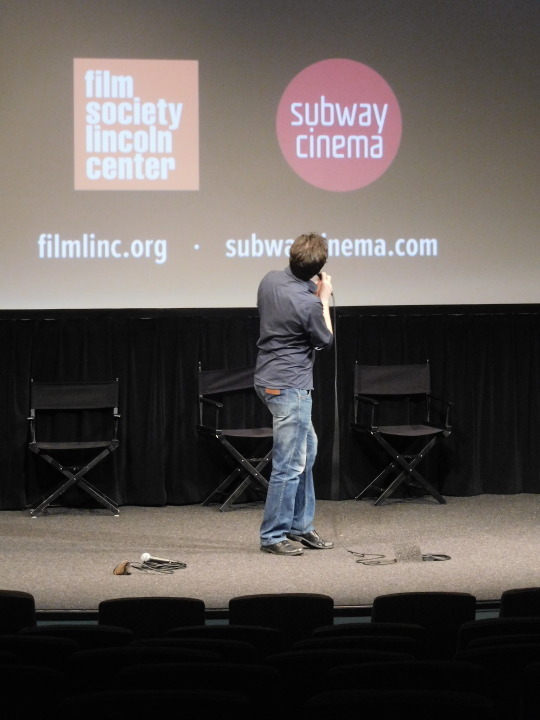 A rapid fire series of questions followed that was more dishy then informative and it was one of the least I've seen at NYAFF and the less said the better. 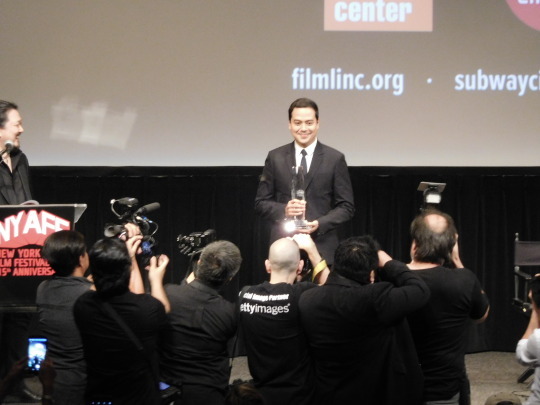 Before HONOR THEY FATHER the final film John Lloyd Cruz was given the Star Asia Award. He was due to come back for a Q&A but I left right after the film because of the time and a need to make the train. HONOR THY FATHER is a very good, if a tad slow, crime/caper story. When Edgar's(played by) father-in-law goes missing he and his wife try to track him down. In the mean time the couple continue selling shares in an investment program the father-in-law had been hawking. In quick succession the schemes stops paying off and the father turns up dead. As the investors come for their money things turn by degrees ugly and uglier as some of those unintentionally swindled turn out to be really bad people. With no one to turn to Edgar goes home and rounds up his brothers, a gang of robbers with the plan to take down the filthy rich church that refused to help the family. A damning portrait of greed, the church and the oppression that keeps people doen HONOR THY FATHER is a kick in the head as it keeps you on the edge of your seat wondering what is going to happen next. Recommended. And with that I'm off. As this posts I'm back at Lincoln Center for another quadruple feature. I report late tonight.